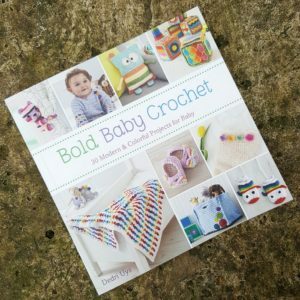 I have recently published my second book, ‘Big Hook Rag Crochet’, and to celebrate I will be doing a blog tour. The blog tour will run for 11 weeks and each weekly post will feature a giveaway for one free copy of the book (open to US residents only). The promotional photos in this post have been supplied by Search Press (Publisher) and Simon Pask (Photographer). The tour will start on the 7th of December (2015) and end on the 14th of February (2016). Below you will find a list of the participating blogs and dates. I will update this list with the direct links as the posts go live. To get the party started, I thought I would tell you a little bit more about the book and the awesome designers that have contributed to it. 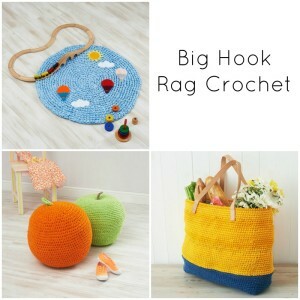 Big Hook Rag Crochet is dedicated to the memory of Marinke Slump, contributing editor of Boho Crochet (by the same publisher) and the designer behind A Creative Being. 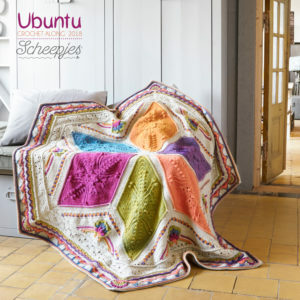 The book features 25 designs for stylish homeware and accessories, each made with fabric yarn. 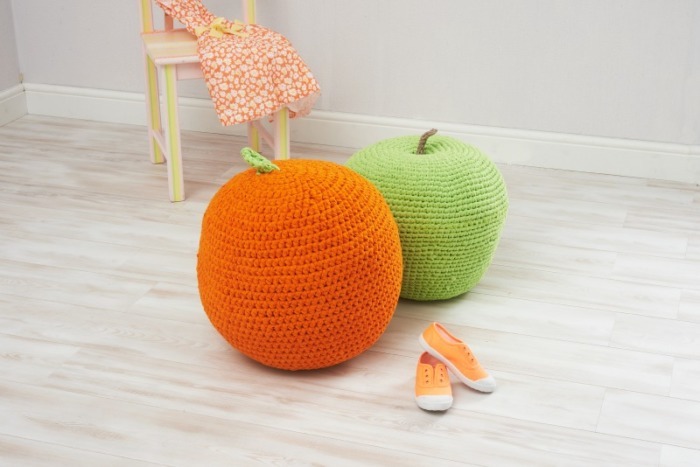 Instructions are supplied for making your own fabric yarn, which is perfect for turning unwanted garments into pretty things, but you can also use ready-made fabric yarn if you do not wish you create your own. 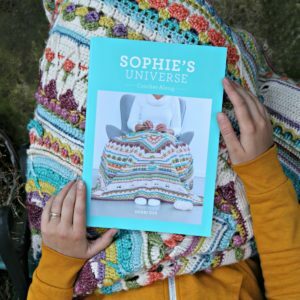 You can see all 25 projects HERE on Ravelry and you can buy the book on Amazon.com and Amazon.co.uk . 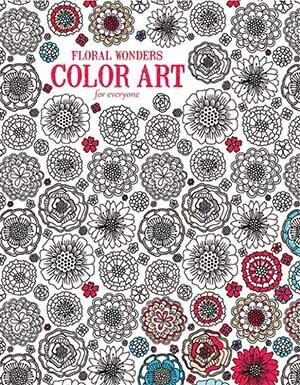 The book is written in such a way that both beginners and advanced crocheters will be able to follow the patterns. The technique section is thorough and I enjoyed every minute of creating it (both writing the instructions and attending the photo shoot for this part). The photographer, Simon Pask, is an amazing photographer and you can see more of his work HERE. I also had a lot of fun making the pouffes for the book. So much fun, in fact, that I might need to do another post about those at a later date. I like the apple the most. It took me ages to figure out how to do the increases to create a less rounded apple. 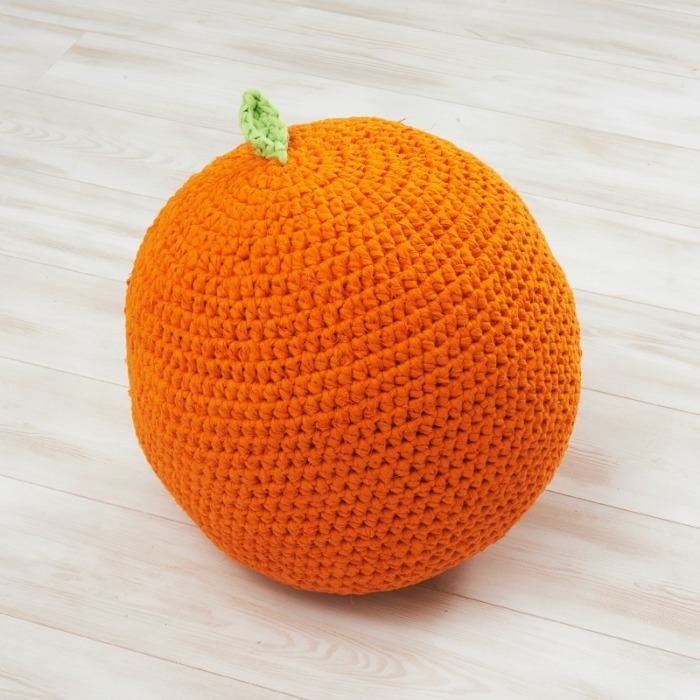 The orange was easier to figure out and I really like the simplicity of the maths behind creating a half-double crochet sphere. 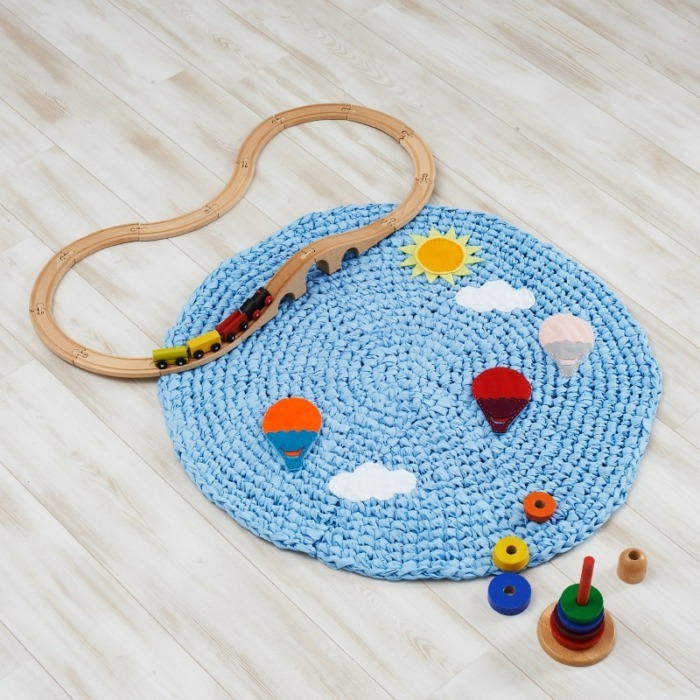 One of my favourite projects in the book is this Balloon Rug. It is so happy! 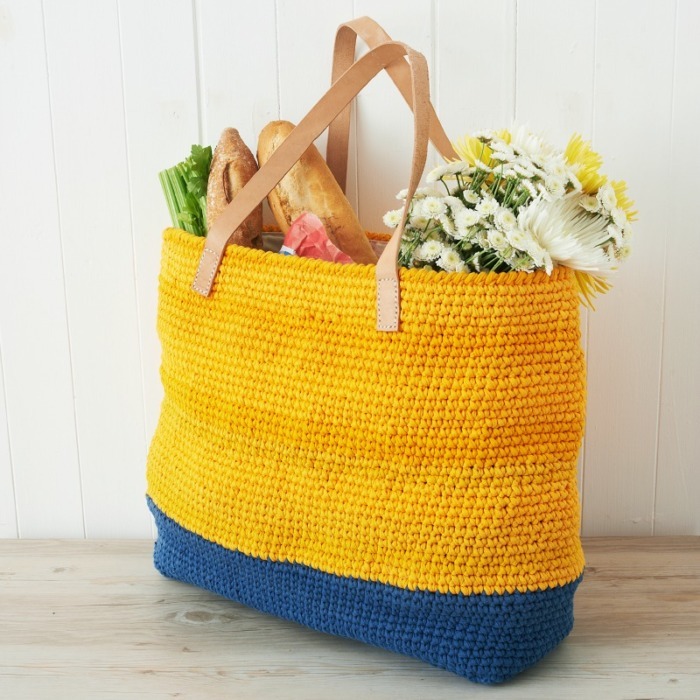 I also love this Simple Shopper with it’s bold colours and leather handles. Erin Black’s Cozy Cat Cave is another great project! As I have already mentioned, this book is a collaborative effort. If you would like to find out more about the designers involved, you can find them all in the list below. Lion Brand Fettuccini – this yarn is sent out in random colourways because it uses repurposed materials. You do not get to choose the colour/pattern of the yarn. And that is everything I want to say about Big Hook Rag Crochet! Please pop back to find the links for the giveaways. And if you have bought the book, I would really appreciate it if you would leave a review on Amazon. If you do leave a review, let me know so that I can thank you. 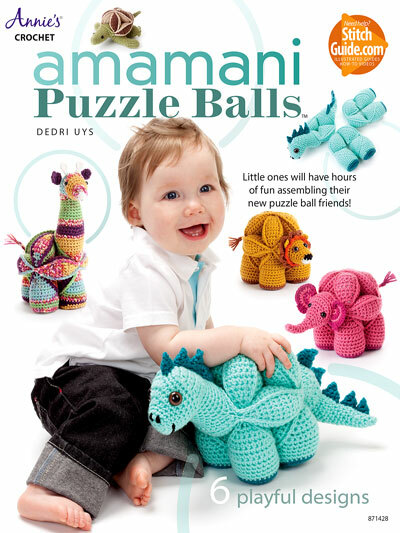 My first book, Amamani Puzzle Balls , is available from Annie’s in both paperback and electronic format. You can also order it on Amazon.com or on Amazon.co.uk. What a nice bunch of projects. Like the tote and the colors it was made in. WOW, I love the patterns! Everything looks like so much fun to make! I’ve looked through the “preview” of this book on Amazon – and have added it to my Christmas Wish List – now I have to let family know to look there….and maybe drop a few hints here and there! 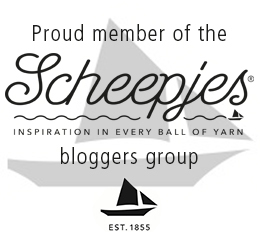 I’m wondering if one can “cheat” a bit and use the newish “t-shirt” yarns that are available for these projects. Would they work – if I can match gauge? I’m absolutely terrible at cutting strips of fabric evenly – no! really terrible! 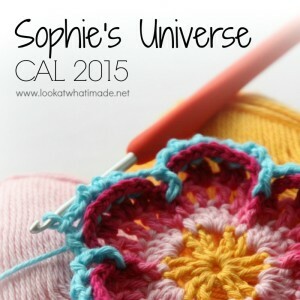 I have a friend who saw pictures of my Sophie’s Universe and wants me to make her a rug “Just like that!”! 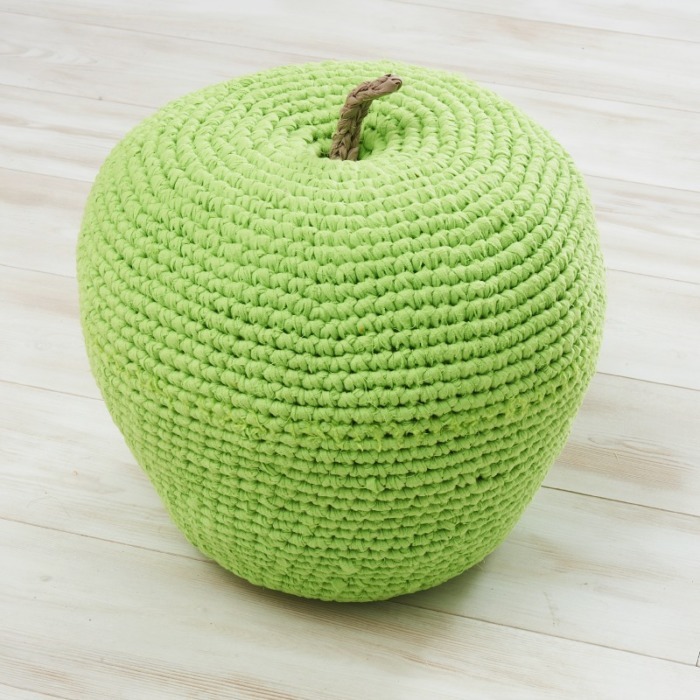 I told her I’d look into it – but the yarns would have to be heavier weight and the rug would have to be a bit smaller around (she has a very small home!) I would have to figure out how much yarn I’d need and have NO idea how to do that with different weights like that – and then price out how much it would cost….and I think just for the cost of yarn – with no charge for my work – would be far more than she thinks….there are many people out there who seem to think that even good yarn is “cheap”! They have NO idea of the cost. We’ll see. The last time I saw her I told her I didn’t think I’d be able to do it. I may revisit that issue after the first of the year and my trips are over with….I’ll need a way to make money and re-fill my bank account! Thanks again, Dedri, for the inspiration! I’ve made one basket for a Christmas gift – made with super-bulky yarn….lined with a pretty fabric and some heavy pellon to stiffen it. Filled with crafty supplies for a crafty gal…fat squares and remnants of fabric, lots of fancy buttons and notions and all sorts of fancy crafty things like that. Can’t wait to give it to her! But I DO want this book! 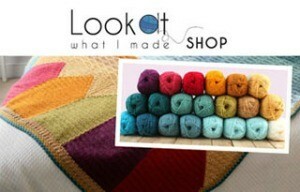 and I do want to make rugs – several I hope! 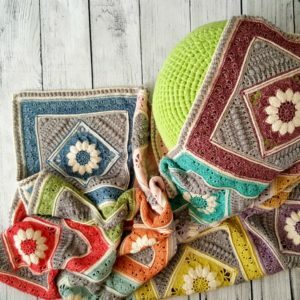 I don’t know if you have any idea how much inspiration you provide to so many of us out here in crochet-land! 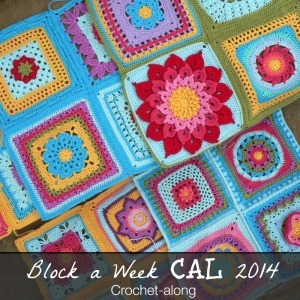 Carol, you can definitely use ready-made t-shirt yarn! A rug made from Sophie would be ginormous. Maybe just the garden? 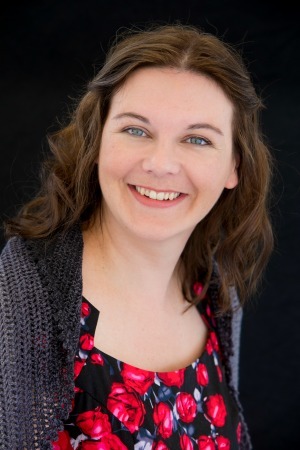 i heard there are going to be 11 books given away…how do i sign up ? There is a list (in the post) of all the blogs that will be hosting a giveaway and the dates on which the giveaways will start. wow. a great book !!! I can’t wait to explore this book. The book looks great. Will it be available on amazon.ca? Hi Shelley. I don’t know, sorry. I will find out. Dedri– Are the instructions in US or UK terms? There are 2 versions on Amazon – one published by SearchLight and the other by Lark Books. The info on Amazon doesn’t mention anything about US or UK terms. That would be helpful info. Search Press is the UK publisher, to those copies are in UK terms. Lark is the US publisher, so those copies are in US terms.